Keith Giles is a former pastor who abandoned the pulpit to follow Jesus, and ended up founding a church where 100% of the offering is given away to help the poor in his surrounding community. He and his wife recently moved to Boise, Idaho to start a new house church there. "Jesus Untangled is a clarion call for Christians to wake up to the many ways we have compromised our distinct calling as citizens of the kingdom of God by becoming entangled with the affairs of the kingdom of the world. It is a prophetic call for us to remember, and to never again forget, that we are soldiers of God’s kingdom." "In the first few centuries, the church’s response to patriotism, nationalism, politics, and most importantly, the Kingdom of God, was the exact opposite of the American church’s response today. Keith Giles...makes a powerful case that the early church had it right all along." "Simply stated, every Kingdom-minded believer will benefit from reading Jesus Untangled. This is especially true in the hyper-sensitized, increasingly polarized and divisive society that we live in today...If you are brave enough to persevere, you will find yourself reevaluating, reassessing and possibly repenting of attitudes and beliefs you have held about what it means to follow Jesus without entanglement." What if the greatest threat to Christianity in America was American Christianity? As the Church has become increasingly entangled in the pursuit of politics, the Gospel has become tarnished and often abandoned as the primary focus of the Body of Christ. 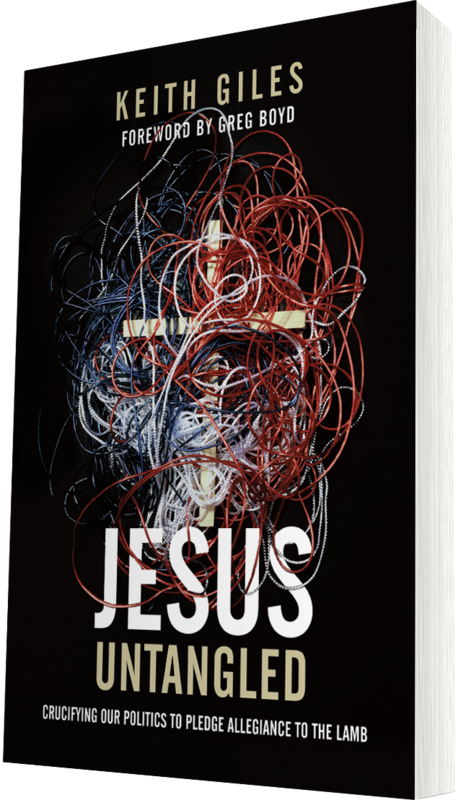 Jesus Untangled is a prophetic call for the Church to awaken from the “American Dream” and to return to Her first love. Because, as the author powerfully demonstrates in these pages, you can’t convert a culture that has already converted you. 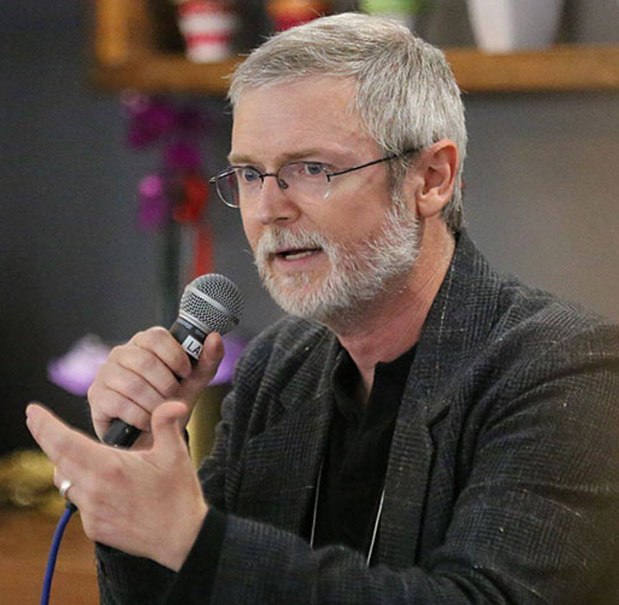 Keith Giles discusses what the book is about, his journey out of political entanglement, how the Gospel challenges our politics, what he hopes his readers will experience, and why the book is so timely. Subscribe to Keith's email list for future updates. "I love to write so that people can know Jesus and experience His life in their own—to help people understand who Jesus is, and how He reveals what the Father is really like." After serving for 15 years as a pastor in various Christian churches, something astounding and unexpected happened that changed my life—I heard the Gospel for the first time. “How could an ordained Christian minister serve for so long without ever hearing the Gospel?” Well, the answer is that the Gospel I knew of was about saying a prayer so I could avoid hell and go to heaven when I died. But one day, I realized that the only Gospel Jesus ever preached was the Good News (or “Gospel”) of the Kingdom of God. His Gospel was about what would happen if I was alive tomorrow and what might happen if I decided to follow Jesus in my daily life. Ever since that epiphany, my old ideas about the Christian life have been unraveling. Over the last 10 years I’ve been blogging and writing books about what it really means to follow Jesus in our everyday life. In the process, I’ve encountered an alarming number of Christians who seem to have placed an unhealthy amount of hope in partisan politics and often seek to advance the Gospel through legislation. That’s why I wrote Jesus Untangled. Because today, American Christians still divide over who will rule over them. They still demand a king like all the other nations have. Their politics and their faith are so tightly entangled that they cannot imagine one existing apart from the other. This isn’t anything new—God’s people have been seeking to replace Him as their King from the very beginning. They asked Moses to speak to them instead of hearing God speak directly from the pillar of fire. They rejected God as their king when they demanded someone like Saul to rule over them. When the Roman Emperor Constantine seemingly converted to the faith and introduced fundamental changes to the Body of Christ, they embraced him as not only a political ruler but as their authority in ecclesiastical affairs as well. This book is intended to help Christians in America awaken from the “American Dream”. My hope is that those who read it may realize that Jesus is already their King and that He has a campaign platform that we are called to put into practice. Our role, as ambassadors, is to collaborate with Him to transform this world from the inside out—but we can’t convert a culture that has already converted us. That’s why I believe this book is so important. I hope you find it worth reading and sharing with others who find themselves—and their faith—entangled in politics.